A Code of Conduct enumerates those standards and values that make an organization remarkable and that enable it to stand out from similar organizations. The Code of Conduct is named by an organization to reflect the culture that is present in the organization and to make a statement. The written code of conduct provides guidance for employees, customers, and any other stakeholders as to what is deemed most significant, valued, and desirable in relationships, interactions, and the organization's worldview. While Code of Conduct is a popular title for this written document and its series of expectations, other companies call it their Code of Business Ethics, Code of Ethical Business Conduct and Code of Ethics and Standards. The last is popular in professional associations. No matter what an organization calls it, the Code of Conduct serves as a framework for ethical decision making within an organization. The Code of Conduct is a communication tool that informs internal and external stakeholders about what is valued by a particular organization, its employees, and management. The Code of Conduct is the heart and soul of a company. Think of a Code of Conduct as an in-depth view of what an organization believes and how the employees of an organization see themselves and their relationship with each other and the rest of the world. The Code of Conduct paints a picture of how employees, customers, partners, and suppliers can expect to be treated as a result. All sorts of organizations develop a Code of Conduct. Companies develop a Code of Conduct to promulgate principles and ethics that will make them attractive to customers, employees, and other stakeholders. Non-profits create a Code of Conduct for these reasons and to ensure that employees and clients understand and trust their mission of service. 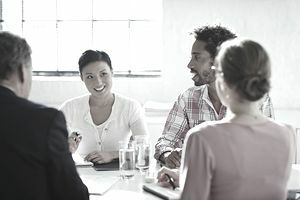 Professional associations develop Codes of Conduct for similar reasons and to suggest standards for ethical behavior across an industry and in the professional behavior of its members. Several examples of a Code of Conduct were so powerful in guiding the behavior, standards, and ethics of an organization that they became famous in and of themselves. At Johnson & Johnson, for example, Robert Wood Johnson, company chairman from 1932 to 1963 and a member of the organization's founding family, wrote their famous Credo in 1943. William Hewlett and David Packard long managed Hewlett-Packard (HP): The HP Way. A Code of Conduct can also be a document that details an organization's expectations and requirements of their vendors, suppliers, and partners. Also commonly called a supplier code of ethics, the Code of Conduct lays the groundwork for the organization's relationship with its partners. For example, Apple's (and the Electronics Industry's) Supplier Code of Conduct states that "Apple is committed to ensuring that working conditions in Apple's supply chain are safe, that workers are treated with respect and dignity, and that manufacturing processes are environmentally responsible." Another frequent component of the Code of Conduct for suppliers is that they are discouraged from offering gifts to employees who, by their Code of Conduct, are unable to accept them lest there be any questionable use of their services. A Code of Conduct is written by an executive team; developed by a cross-section of employees from various functions; or designed by organization development, corporate communications, marketing, supplier relationships, and/or Human Resources staff, depending on the organization and its internal mode of operation and management style. A Code of Conduct that is developed either by a powerful, esteemed executive, often also the owner, or by a cross-section of employees sans such an executive's influence, is easier to incorporate and integrate. It is more likely to affect the actual beliefs and operation of an organization. The Code of Conduct will more likely achieve full implementation and integration within the organization when more stakeholders are involved in its creation. Like the process recommended for the development, alignment, and communication of an organization's values or the integration of a strategic plan, participation contributes to the successful integration of a Code of Conduct. Use these same recommended steps for your process to develop your Code of Conduct. A Code of Conduct is published and disseminated to its employees, and to existing and potential stakeholders such as members of the board of directors, customers, partners, vendors, suppliers, potential employees, and the general public. It is the image that the company wants to convey to these stakeholders about who the company is and what these stakeholders can expect in terms of value-driven treatment. Here are several remarkable examples of codes of conduct, that are available online, to provide guidance as you develop your employee and company code of conduct.